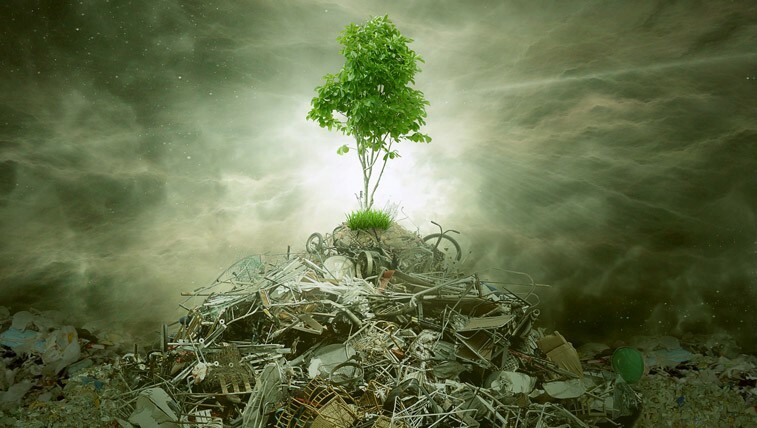 In this post, I’ll to cover some of broader concepts relating to waste disposal and Waste-to-Energy solutions to act as a foundation for later in-depth posts on their relevance to the Natural Asset Exchange, EARTH Token and our efforts to preserve our planet. To begin, let’s first talk about waste disposal. As our societies modernized through industrialization and as our populations have grown, the amount of waste we produce creates a large-scale impact on our environment. Poor waste management can result in the air, soils, and waters being polluted, along with litter issues, losses in biodiversity and explosions in weed and pest populations. Rain and wind can cause light waste materials to escape from landfills into surrounding areas and interfere with the food chain with devastating effects on wildlife and even human health. Industrial waste involves larger scale chemical and toxic material disposal which further adds to the complexities of waste management. As plastics and other materials break down, usually over vast amounts of time, they release chemicals and gasses into the surrounding soils and into the atmosphere, with some chemicals even making their way into water tables. The effects of unchecked industrial waste pollution are lasting and often irreversible. Lifecycle thinking and analysis is a new approach to waste management. It involves evaluating how a product is consumed and what impact this has on the environment. When looking at any particular product’s lifecycle, you evaluate every step of its lifecycle from raw material extraction to processing, transportation, distribution, consumption, recycling, and right up to its eventual disposal. You would then look at the parts of the process where you can make environmental impact gains, particularly, re-use, recycling, and disposal. You then pick the most appropriate waste disposal methods that apply to the different types of waste. ● Landfill and dump sites need to be designed in such a way so as to minimize chemicals, gasses, and litter leaching into the surrounding environment. ● Recycling involves large-scale waste separation operations, be they urban or industrial. Storage and distributions of recyclable materials can be difficult to manage as there is often no consistency in the quality and quantity of each material you separate. ● As mentioned above, incineration is great for reducing the mass of materials, however, the process can be extremely toxic, particularly when plastics, paints and other synthetic materials are burned. Incineration can be used for energy production and heat distribution, but the efficiency of this technique generally varies from poor to insufficient and it involves unchecked pollutants entering the atmosphere. The concept of using waste to generate energy is not new. Incineration, which generally entails burning municipal and industrial waste to produce heat, and power generators that produce electricity for distribution, has been around for years. Traditional methods are, however, extremely inefficient and typically emit high concentrations of harmful emissions and toxins into the atmosphere. Over the last few decades, a number of new approaches to generating energy from waste have evolved that will significantly reduce our reliance on landfills and incineration. As opposed to the traditional method of incinerating base waste material, modern Waste-to-Energy solutions combine techniques and technologies that convert waste into cleaner energy fuel sources, while lowering emissions, thereby having a huge positive impact on our environment. ● Anaerobic Digestion — a biochemical conversion of organic material that goes through a fermentation process where enzymes break down and decompose organic materials. Depending on the organic matter, methane and alcohol can be captured during the decomposition process. ● Landfill Gas Recovery — various techniques that capture gases that are released from the slow decomposition of landfill. The main gas released is methane which can be used as a cooking gas or even in some types of engines and turbines. 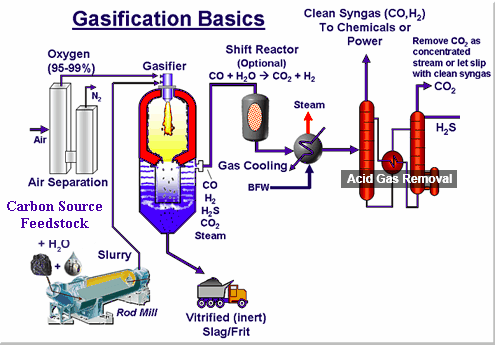 ● Gasification — is a process of chemical decomposition of various types of waste material, also known as feedstock, such as municipal solid waste, oil residue, petroleum coke, biomass and coal waste by exposing it to heat and reduced oxygen. The molecules of the waste are then broken down into gas which is known as producer gas, Biogas or Syngas. These gases can be readily used in turbine engines that produce electricity or further processed into common liquid fuels for multiple other uses such as transportation and so forth. Of all the techniques, gasification has the most potential to make a lasting positive impact on our environment and is generating much enthusiasm, especially in regions such as Africa where coal waste is abundant and energy provisioning challenges abound. In our next post we’ll be expanding on our Waste-to-Energy solutions and the roles of Carbon Mitigation, EARTH Token and the Natural Asset Exchange in providing a holistic approach to eliminating waste, reducing emissions and preserving our planet.